A site looking into the fascinating question do aliens exist? HAVE YOU WITNESSED SOMETHING IN THE SKY YOU CAN’T EXPLAIN? If so I would like to hear your story. My name is Glen Richardson i’m a UFO Investigator/Researcher based in Hartlepool, England, UK, investigating claims of UFO sightings and Alien abduction across the UK. All information will be dealt with, seriously and in the strictest of confidence. Website set set up by a UK team of paranormal investigators. Can you please add my web site link to your links page thanking you. 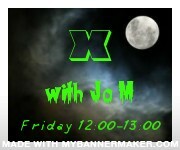 If you email me your Banner I will add the banner to my links page. Would like to set up ufo group here in cornwall. Some weird stuff happening down here…. any advice much appreciated. did you ever hear of a report from Newquay,I was 7or 8 so a good few years ago [im close on 50 now!] we were on holiday in Watergate Bay area,when one night,from our holiday hotel up above the beach,me and my Brother watched some triangular ‘lights’ rise silently from the beach,to hover a while,and just fly off,not any acceleration or engine noise,at what seemed like an unnatural maneuver and speed..Of course noone believed us but the strange thing was that the next day,we were told of a ‘hysterical’ guest who on returning to the hotel later the previous night,told of an incredible story of ‘something’ flying into and hovering over her car a few feet in front of her,and she really was ‘hysterical’ about it,and of course,she hadnt known of what we had seen,she was only just returning to the hotel…. I’ve never forgotten any of this to this day,and the independent ‘witness’ story [an adult!] still strikes me with a sense that people really are experiencing strange occurrences like these..
Group in Swansea now established to investigate and document local sightings – Swansea UFO Network. facebook page of same name. Call 07954806402.